Hansteen Holdings PLC (LSE: HSTN), the UK and Continental European property investment company, announces the sale of the Hansteen UK Industrial Property Unit Trust (“HPUT” or “the Fund”), a UK multi-let industrial property portfolio, in two transactions for a total of £146.1 million (after the deduction of rental top-ups). The 41 assets in HPUT have been acquired by a fund advised by Brockton Capital LLP (“Brockton Capital”) in a partnership with Dunedin Property for £110.5m. A separate 50/50 joint venture between Brockton Capital and Hansteen has acquired Saltley Business Park in Birmingham for a net price of £35.6 million. Hansteen will continue to manage Saltley Business Park. HPUT was launched in July 2009 with £90 million of equity from Hansteen and five institutional investors. On exit it comprised 42 assets across England, Wales and Scotland with a combined floor area of 3.04 million sq ft, a void rate of 9.65% (293,644 sq ft), a passing rent of £10.0 million per annum, equating to average rents across the portfolio of £3.68 psf, and a contracted rent of £11.5 million. Additionally the Fund had 25.7 acres of development land. The 41 assets sold within the Fund have a passing rent of £7.6 million per annum, a contracted rent of £8.5 million per annum and a void rate of 13.5% (272,724 sq ft). Saltley Business Park has a passing rent of £2.4 million per annum, a contracted rent of £3.0 million per annum and a void of 2.05% (20,920 sq ft). Lenovo and Google have announced that Lenovo’s acquisition of Motorola Mobility from Google is complete. The acquisition of the Motorola brand and Motorola’s portfolio of innovative smartphones like Moto X, Moto G, Moto E and the DROIDTM series, as well as the future Motorola product roadmap, positions Lenovo as the world’s third largest maker of smartphones. Lenovo will operate Motorola as a wholly-owned subsidiary. Motorola’s headquarters will remain in Chicago. With the completion of the acquisition, Lenovo welcomes the addition of a new portfolio company with nearly 3,500 employees around the world – including about 2,800 in the U.S. – who design, engineer, sell and support Motorola’s outstanding devices. “Motorola is in great hands with Lenovo, a company that’s all-in on making great devices,” said Larry Page, CEO, Google. Liu Jun, Lenovo executive vice president and president of Lenovo’s Mobile Business Group, is chairman of the Motorola Management Board. Rick Osterloh, a Motorola veteran, will remain president and chief operating officer of Motorola. Motorola already has strong momentum in the marketplace led by highly successful new product launches and groundbreaking innovations, which have provided solid growth. Beyond smartphones, the Moto 360 watch has captured consumer attention and established Motorola as a company expanding into emerging mobile device areas. As previously stated, Lenovo expects to make the Motorola business profitable in four to six quarters. Google will maintain ownership of a majority of the Motorola Mobility patent portfolio, while Motorola will receive a license to this rich portfolio of patents and other intellectual property. Motorola will retain over 2,000 patent assets and a large number of patent cross-license agreements, as well as the Motorola Mobility brand and trademark portfolio. 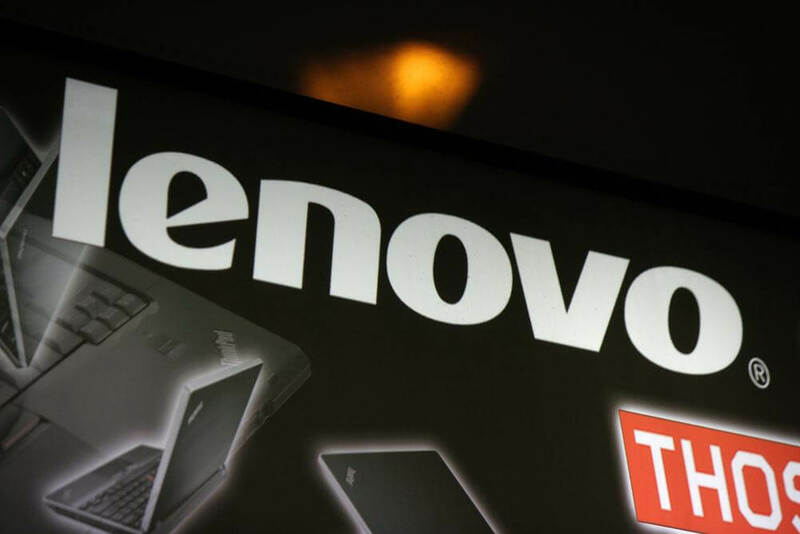 The total purchase price at close was approximately US$2.91 billion (subject to certain post-close adjustments), including approximately US$660 million in cash and 519,107,215 newly issued ordinary shares of Lenovo stock, with an aggregate value of US$750 million, representing about 4.7 percent of Lenovo’s shares outstanding, which were transferred to Google at close. The remaining US$1.5 billion will be paid to Google by Lenovo in the form of a three-year promissory note. A separate cash compensation of approximately US$228 million was paid by Lenovo to Google primarily for the cash and working capital held by Motorola at the time of close. KPMG in the UK has announced the appointment of Neill Thomas as head of Corporate Finance and Andrew Nicholson as head of M&A. Both will replace Richard Clarke, who held both roles before recently being appointed to take up a new position as head of investment management within the firm’s Financial Services practice. In addition, Jonathan White becomes KPMG’s UK Head of Valuations, taking over from Doug McPhee, who continues as Global Head of Valuations. Neill Thomas will continue as KPMG’s Global Head of Capital Advisory and Chair of the KPMG Makinson Cowell management board, responsible for a network of over 200 capital advisory practitioners located in centres of excellence covering all the world’s major capital markets. He was previously head of KPMG’s UK Debt Advisory business, where he acted as lead advisor to major companies including Britvic, InterContinental Hotels and William Hill. Prior to joining KPMG in 2001, Thomas worked for fifteen years for Schroders. During his career, he has advised companies and financial institutions in establishing more than £300 billion of financing. Andrew Nicholson has over 15 years’ experience in M&A, with specialist expertise in the healthcare sector. During his career, he has owned and operated businesses, as well as advising companies, investors and management teams on acquisitions, disposals, joint ventures and fund raisings. Nicholson joined KPMG eight years ago from Rothschild, and has since built KPMG’s dedicated Healthcare M&A team which has gone on to lead many deals within the UK healthcare services market. Recent examples include acting as lead advisor on the sale of Asteral to Permira; the sale of European Care Group and the sale of City & County to Graphite Capital. A new book entitled iDisrupted by John Straw and Michael Baxter claims that only 19 of the world’s 100 largest companies in 2012 will still be in that list in 2042. However, it says that even this bold claim may be understating how things will pan out. Throughout history, new technologies have had a disruptive effect on businesses and the economy, proving fatal to some well-known companies. In the new book, iDisrupted, the authors claim that the rate of fatality is set to increase. Of the top 100 global companies identified in 1912, 29 companies had experienced bankruptcy or similar; and 48 had disappeared by 1995. Eastman Kodak was one of just 19 companies that stayed in the list during these years, yet at the start of the 21st century, with the onset of digital cameras, home printing and photo sharing websites, it too fell victim to the rise of new technologies. In iDisrupted, co-authors John Straw and Michael Baxter claim that many of the industries we currently see as strong, such as oil, car manufacturers, banks and energy companies, could also be heading for the corporate graveyard within the next few decades. They say that only 19 of the world’s 100 largest companies in 2012 will be in that list in 2042. However, even this may be an understatement. Straw states: “The big corporate success story of the 20 century related to oil companies, but just because they flourished in the 20th century, this does not necessarily mean they will flourish in the 21st century.” The rise in electric cars, self-driving cars and advances in solar power and energy storage, will all play a part in the energy industry as we currently understand it. M&A markets have staged a strong recovery in 2014, with deal values in the first three quarters of the year already higher than for the same period in 2013 and average deal sizes at their highest levels for many years, according to Allen & Overy’s latest M&A Index. For now the recovery is looking resilient and optimism is high, fuelled by low interest rates and large cash reserves on corporate balance sheets, although the equity markets are currently undergoing some unhelpful volatility. Deal values for 2014 to date are up 51% on the same period in 2013. More significantly, the value of cross-border transactions is higher than at any time since 2007, with U.S. companies leading the charge, followed by growing activity from Chinese, UK, German and Canadian strategic investors. Traditionally, the third quarter is quieter, but transactions have continued at a healthy pace over the summer and the deal pipeline is strong enough to suggest the recovery will continue through the winter and into 2015. TMT continues to be the leader by deal value, followed by life sciences, with the number of deals so far in 2014 for the former, exceeding the whole of 2013. The pattern of this recovery continues to between continents and sectors. While the U.S. and Western Europe do now seem to be motoring ahead, and Asia Pacific registered its best start to the year on record, in Q3 deal activity went into sharp reverse in the CEE and CIS region, as the impact of the Ukraine crisis took its toll across the region. Elsewhere, regulatory requirements continue to dampen M&A in the financial services sector, while private equity has seen more deals so far this year than in any since 2007, although exits still predominate. Overall though, M&A sentiment is strong and the outlook into 2015 remains positive, if the current volatility in the equity markets is resolved. Proceeds from European IPOs in the traditionally quieter third quarter settled back to €6.6 billion, from €22.3 billion in Q2 2014. Nevertheless, Q3 proceeds were more than double those of Q3 2013 (€3.0 billion), primarily as a result of a number of large IPOs in July, including NN Group in the Netherlands (€1.5 billion), FinecoBank in Italy(€673 million) and Logista in Spain (€606 million). 2014 IPO activity has almost quadrupled compared to last year. In the nine months to September 2014, €40.3 billion has been raised by 289 companies, in comparison to €11.7 billion from 173 companies in the same period in 2013. “The European IPO market performed strongly in the traditionally quiet third quarter against a backdrop of geo-political uncertainty in the Ukraine and the Middle East and, closer to home, the Scottish Referendum. The exchanges of London, Milan and Euronext accounted for the majority of proceeds raised in the quarter, together contributing over 70% of the total IPO proceeds in Q3 2014. Euronext saw eight IPOs raising €1.7 billion, with the largest IPO of the quarter, NN Group, contributing almost 90% of exchange proceeds. Milan raised €1.1 billion from 10 IPOs and London continued to be the busiest IPO centre in Europe with 23 companies raising €1.9 billion. Financials dominated the quarter, contributing nearly half of the proceeds raised, with 14 companies raising €3.1 billion and four IPOs in the top ten. “The big story this quarter was one of demergers. NN Group, the Dutch insurance division spun out of ING Bank, was the largest European IPO, and we also saw listings of FinecoBank in Italy, Citizen Financials in the US and, in the previous quarter, TSB Bank here in the UK. Global IPO activity year to date stands at its highest level since PwC started publishing IPO Watch with €137 billion raised in 9 months. The US market led the field, reaching €28.7 billion in the quarter and €52.4 billion year-to-date, with the IPO of Alibaba being the largest on record raising €16.8 billion alone. KPMG has announced the appointment of David Burlison as Global Head of Restructuring and Mark Firmin as UK Head of Restructuring. David Burlison replaces Philip Davidson, who has taken up a new role as KPMG International Chief Operating Officer, while Mark Firmin takes over the role as UK Head of Restructuring from Richard Fleming, who has led the team since 2008 alongside his primary role as KPMG’s UK Head of Advisory. David Burlison was appointed partner in 2004, specialising in advising both companies and stakeholders on large and complex cross-border restructurings. It was his experience in these areas that provided the foundation to work alongside Philip Davidson, co-leading one of the world’s largest ever restructurings in Dubai. David then joined KPMG in the UAE to establish a permanent restructuring practice there. For the last two years, David has acted as principal in a series of multi-billion dollar restructurings, as well as co-managing a significant investment fund. He has now returned to the UK, where he will combine his new role as global head with leading the development of the firm’s company-side restructuring practice in the UK, encompassing its debtor financial restructuring capability, Chief Restructuring Officer offering and distressed debt advisory function. Mark Firmin was promoted to partner in the firm’s Leeds office in 2006. He took over from Richard Fleming as KPMG’s Northern Head of Restructuring in 2009 and, just under two years ago, became Head of Restructuring for KPMG’s regional businesses. During his career, Mark has advised a wide variety of stressed and distressed companies and their stakeholders. 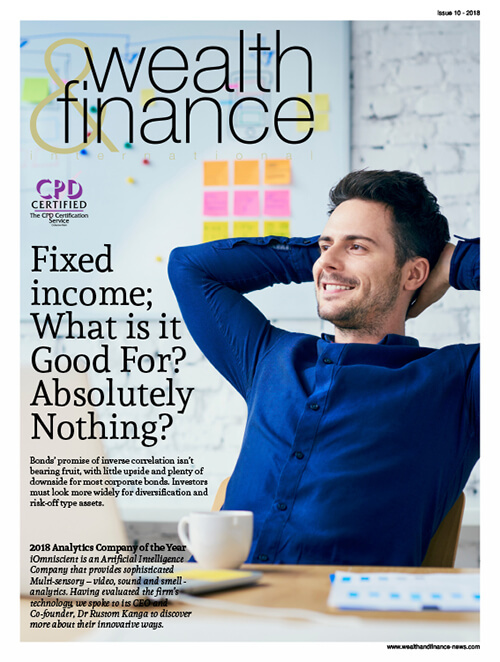 His clients range from specialist lending teams in all the main clearing banks, other large financial institutions and major PLCs to the boards of small owner managed businesses. As a licensed insolvency practitioner, Mark has also led many insolvency appointments over the years and has consequently run companies operating across a wide variety of sectors. 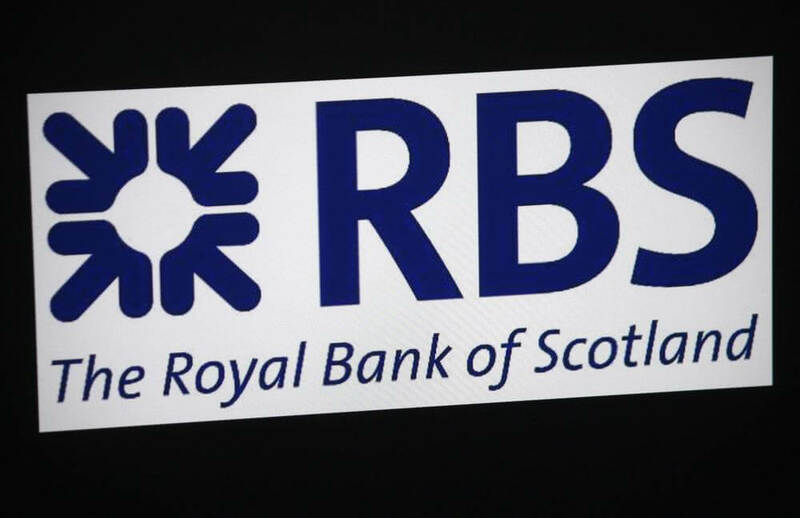 It was hoped that RBS would achieve up to $3.5b in the IPO having priced the shares in the $23 to $25 range. However, the British-based bank was forced to lower the price to $21.50 to relieve investor fears over Citizens’ abilities to hit financial targets. The sale on Tuesday eventually raised around $3b in the 25% total stock sale which will rise to $3.46 should an overallotment option be exercised. The bad news for RBS, majority-owned by the British taxpayer, comes on the back of other less than stellar IPOs in the financial services sector. However, there was hope that the sale would pick up on some of the feel-good nature left in the air from the record $25b Alibaba float. With a number of other financial firms looking at an IPO, share placings or a sale in the future, the the Citizens Financial offering will continue to be closely monitored by analysts and forecasters. The acquisition will see Starbucks Japan purchase the remaining 60.5% majority stake presently held by its partner. 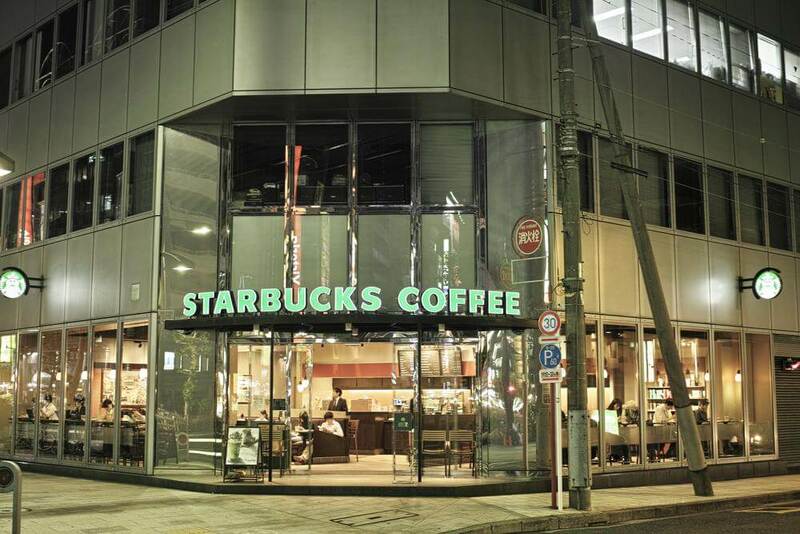 Starbucks Japan and Sazaby have been operating the joint venture since 1995. With the country being home to some of the coffee giant’s most profitable outlets, Japan represents Starbucks’ second biggest market in volumes of sales across more than 1,000 cafes. The move is widely expected to come ahead of an expansion in the region by Starbucks. It already has a presence in the market with its ready drinks products and canned coffee, with the acquisition likely to fuel further grocery store sales. It is understood that Calpers believes they are too expensive and complex – not a response to the performance of the program that is in place. • Pacific Alternative Asset Management Co.
Calpers first invested in hedge funds in 2002 but, since the financial collapse, has undertaken a strategy of reducing its risk. Throughout the crash of the last few years, Calpers saw over 30% of its wealth wiped out. To June 31 this year, the fund paid $135 million in fees for its hedge fund commitments, which earned 7.1%. That is a contribution of 0.4% on total fund performance. In the last 10 years, the annualized rate of return is 4.8%. Calpers’ return target for its investments is 7.5%. Its returns on global stocks in the same period earned the fund 18.4%. However, the hedge funds have contributed to stunning growth in recent years. Back in July, Capers announced it had hit a total value of $300 billion. The first time the fund has risen so high, that put it second to just two firms listed on the Dow Jones Industrial Average. Recently though, hedge funds have been attracting record levels of assets, reaching a high of $2.8 trillion as institutional investors head for alternative investments. There are over 1.6 million members in the Calpers retirement system, with more than 1.3 million registered members in its health plans. The fund also administers health and retirement benefits for over 3,000 local agency, public school and state employers. Responding to demand, the group has raised its fund-raising target. Alibaba has lifted its price range for the initial public offering (IPO) from $60 to $66 to $66 to $68 for each American depositary share. If realised, that will see the sale raise up to $21.8 billion and value the e-commerce giant at a staggering $165.5 billion at the new range midpoint. 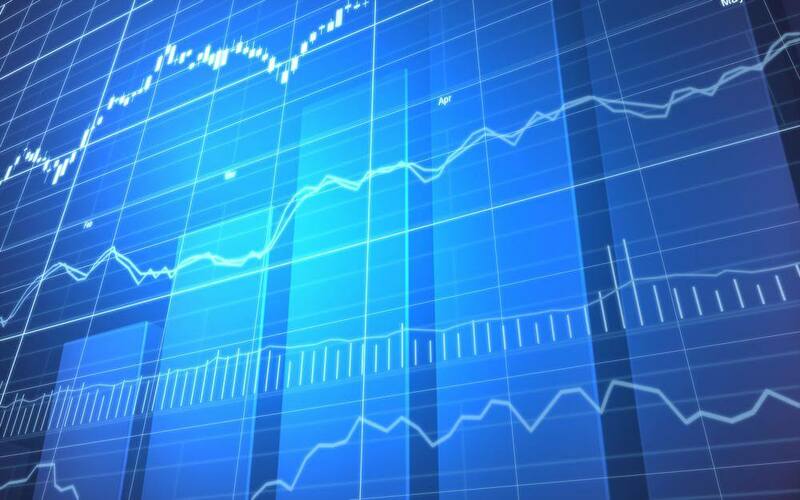 It is the only logical step to raise the price of course and, such has been the demand that despite the increase, the underwriters are looking to close the book early – perhaps as early as today, Tuesday 16 September. However, that the firm held back on lifting the price much higher demonstrates a good conscious effort on behalf of the board and its advisers. The reaction from investors has profound in many people’s eyes, with over 800 people attending the presentation of the price increase. Orders for shares have also been coming in from every quarter, despite investors knowing they will not realise anything near the number of shares they want. One hedge fund is even rumoured to have requested several billion dollars’ worth, despite only presently managing about $3 billion in assets. 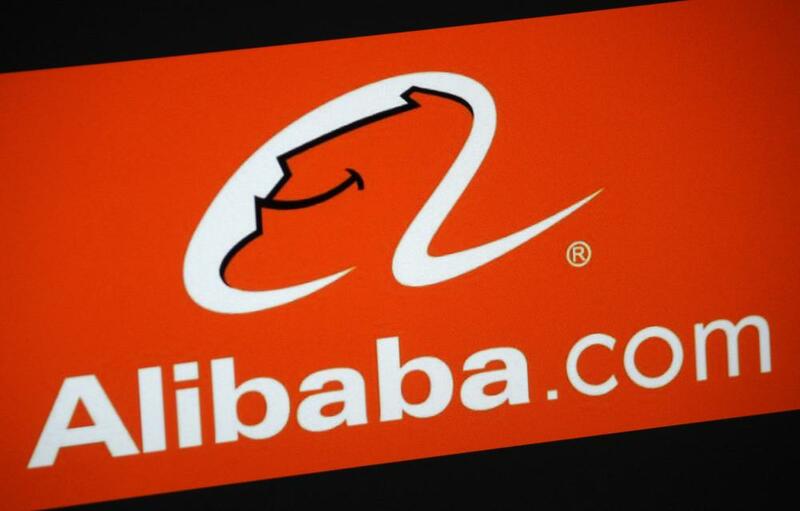 However it is understood that the Alibaba board is targeting big mutual funds and other long-term investors. It is not interested in people looking to make a quick profit from flipping their shares. It is thought this was a key driver in keeping the price lower than could have been achieved. Another factor is likely to have been the price bump by Facebook, which left investors not taking part in the offering little room for moving in. 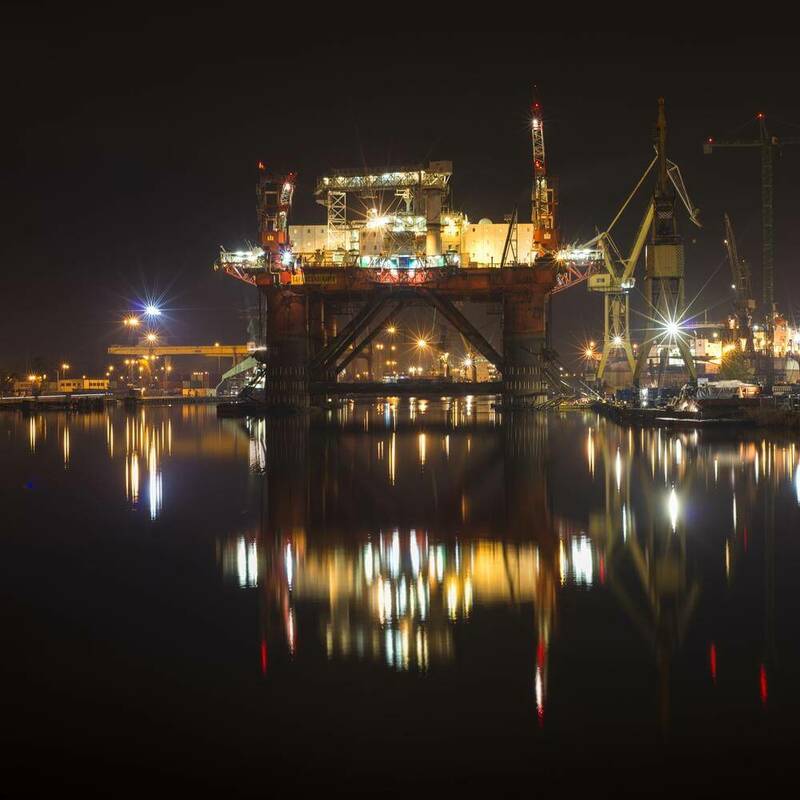 The announcement comes just days ahead of the vote for independence in Scotland – the campaign for which has seen the oilfields of the UK come under much scrutiny. Conoco presently holds a 24% stake in the oilfield, with sources close to the firm advising that it has already hired banks to facilitate the sale. It is unclear as to how much the firm could get for its holding, but industry predictions suggest it could be as high as $3bn. The Clair oilfield sits in the North Sea off the coast of Scotland, west of the Shetland islands. It is also one of the most highly valued assets in the UK. However, the exit by Conoco is indicative of the challenging environment the oil industry is facing. Despite having access to valuable sources of oil still, accessing it is complex and, with increasing regulation and attitudes, expensive to extract. Despite being isolated in 1997, it was only nine years ago that the Clair oilfield started being exploited while work to develop a second site has just started. That is due to get up to production in three years, with many suggesting high revenues will be forthcoming. However, holding 28.6% in the oilfield, biggest stakeholder BP is still undergoing an appraisal of the site. The stance taken by BP highlights the biggest issue that Conoco has with its sale – the perceptions of potential buyers. There are worries over the UK oilfield’s ongoing production rates. Selling its stake would allow Conoco to continue its strategy of exiting from a sweeping range of international holdings. The continuing strategy is to free up funding for investment in the US shale industry, which its most recent forecast suggesting that there were $2.6bn recoverable barrels in its Texas shale field of Eagle Ford. In the past three years, Conoco has sold its stake in Lukoil and its 8.4% in the Kazakhstan Kashagan oilfield. Details of the sale have not been disclosed at the time of writing. The other shareholders on the Clair oilfield are Royal Dutch Shell and Chevron with a 28% and 19% holding respectively. In a statement, the company said that the challenging UK retail environment would affect its financial performance. With Tesco saying it expect profits to only attain £2.4bn instead of £2.8bn, the firm said it will reduce the half-year dividend by 75% for the year, to 1.16p, saving the firm £600m. Other savings are also to be introduced. Tesco has said its program of store refurbishment will be slowed for example, with overall spending set to be reduced by £1bn for the year. 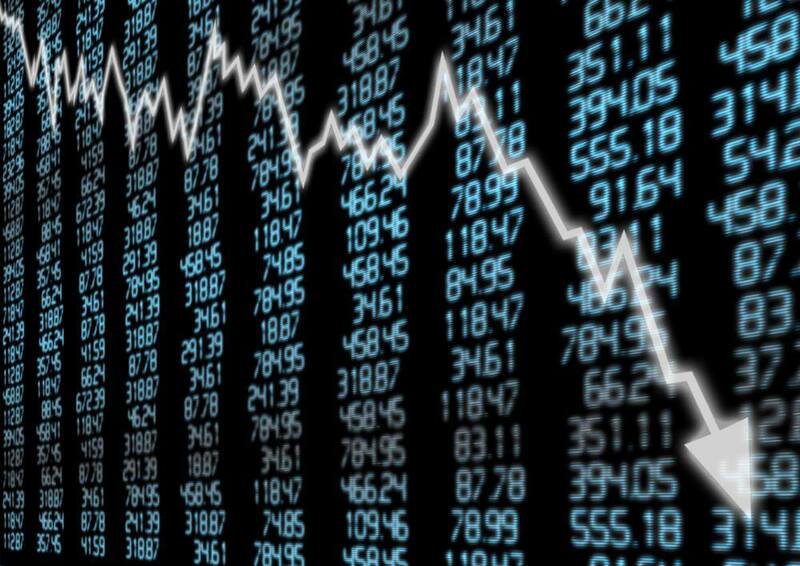 The news saw shares in Tesco plummet by 7.2%, closing at 228.70.p, and also saw shares across the supermarket industry suffer, with Morrisons and Sainsbury’s seeing falls to their price as nerves hit the investment scene. Investors are expecting another round of price wars between the giant chains, as budget chains continue to take market share. Like for like sales for Tesco and other traditional retailers in the segment continue to slide in the UK. 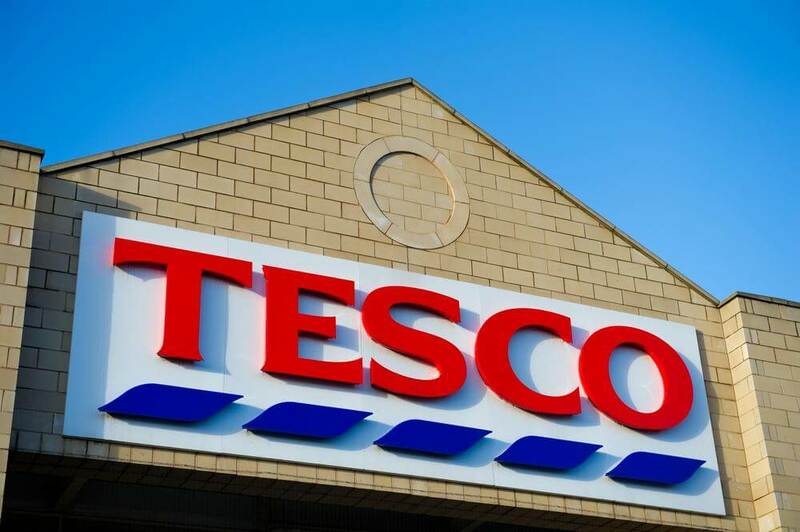 With industry analysts warning that Tesco has tried to please too many of the people too much of the time, and is now consistently coming up short in the customer satisfaction stakes, the group will be hoping its new chief executive can turn the fortunes round. Charged with looking at every aspect of the business and expected to to oversea a wide ranging senior management change, the firm confirmed that its new chief executive, Dave Lewis, would be taking control of the company from Monday September 1. The move, widely expected by industry analysts, allows the company to simplify its operations. It will see its silver, aluminium, manganese, nickel and coal operations be moved. The new company, valued at $14bn (£8.4bn) and presently known as NewCo, will list on the Australian stock market (ASX). It will be headed by BHP’s present financial director, Graham Kerr. The move is subject to approval from shareholders and regulators and is expected to complete in Q1 of 2015. The announcement was made following a statement released last week that said BHP was looking at ways that its operations could be simplified. The firm said the changes to its corporate structure would allow for its cash flow generation to be strengthened, giving shareholders a better return on their investments. With its global headquarters based in Melbourne, BHP Billiton is listed on both the London (LSE) and Australian stock markets. It is also secondary-listed on the Johannesburg stock exchange (JSE) in South Africa and is listed on the New York Stock Exchange (NYSE) across two American Depositary Receipt listings. The new company will also have a secondary listing in South Africa. 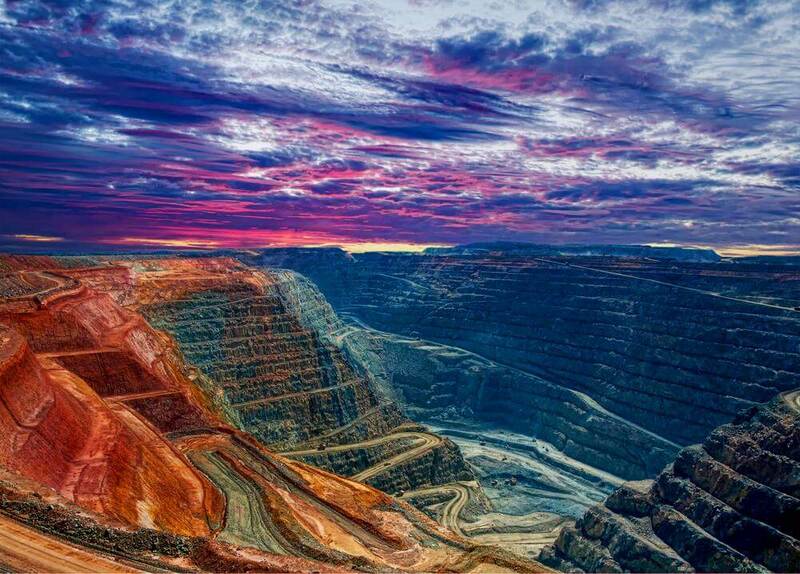 BHP Billiton also announced a 23% rise in profits to $14bn for the year, missing industry forecasts. The firm’s shares on the LSE dropped by over 4% after the announcement on Tuesday morning. Announcing the results for Q2, the world’s biggest PC maker saw profits rise to $214m (£128m). Revenue for the same period also rose significantly to $10.4bn, up 18% compared to the same period in 2013. With its core business in PCs the firm saw nearly half of its total revenue come from this stream. More of a surprise was the increase in laptop sales, up 12% for the quarter, despite an industry downturn. The increasing popularity of tablet devices helped see a 3.7% decline in laptops being shipped compared to last year. However, Lenovo performed well in tablets too, as well as other mobile devices, helping the company remain as the leader in its field. What will make the news even more pleasing for the firm is the success of its move into other markets, as desktop PCs sales have slumped. Laptops too are going to continue to decline, as tablets and smartphones become the go to gadget. Indicative of this, Lenovo posted sales of more smartphones than it did PCs. Achieving a record figure of 15.8 million sold units, it represented a 39% increase from 2013. Mr Yang also went on to explain that the smartphone sector is moving away from high-end and into the more mainstream marketplace. Remarking on the success of its acquisitions of IBM’s low-end x86 server unit and Motorola Mobility from Google – both likely to close in Q3 – he also hinted at further acquisition opportunities that Lenovo would try to exploit. 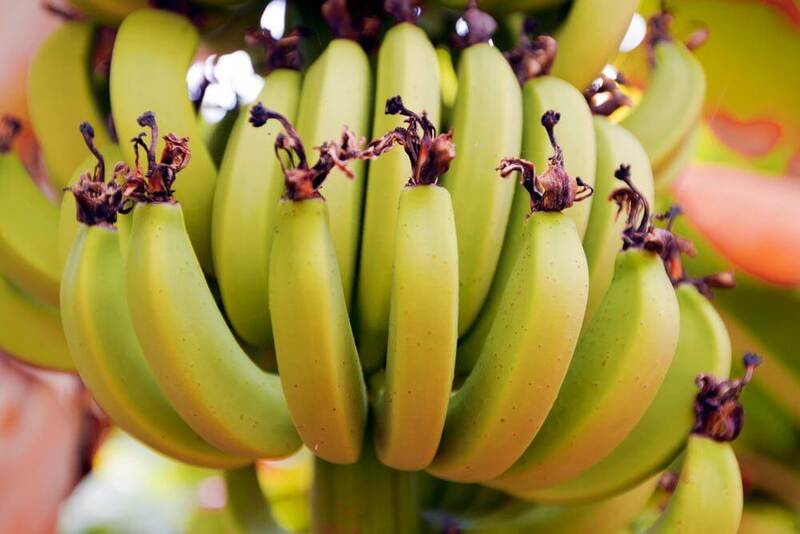 Citing the offer as ‘inadequate’ for its shareholders, Chiquita said it was going ahead with its plan to merge with Fyffes, the Irish fruit industry giant, which was announced back in March. “clearly more favourable to the Chiquita shareholders than the proposed merger with Fyffes”. Chiquita seem to have not reached this conclusion. The creation of the Chiquita-Fyffes company would result in the world’s biggest banana supplier. Together, the combined operation would control an annual revenue of $4.6bn. It would also allow the American-based firm to move its operations to Ireland and subsequently avoid higher rates of US corporate tax. The US is presently taking action to try and reverse the trend for so called, ‘tax inversion‘. Following the offer on Monday, Chiquita’s shares leapt by 31% in value, with Fyffes seeing a slump of 15%. At the time of writing on Friday morning, Chiquita’s share price had levelled out somewhat at $13.51 – higher than the $13 per share the Brazilian offer represented. Fyffes continues to slip through the week, presently standing at 0.91 euros per share. If resurrected, a merger between the two firms would see the creation of a construction giant with a combined worth of £3 billion. The problems occurred when Carillion seemingly advised Balfour representatives to abort the marketing of its Parsons Brinckerhoff arm. A US-based engineering and design firm, Balfour advertised it for sale in May after it failed to reap the rewards expected following its acquisition in 2009. Balfour Beatty has said the demand was ‘wholly unexpected’ and that to change the terms so significantly was ‘not acceptable’. Now, however, reports the Guardian, advisors from both firms are meeting again to broach the possibility of restarting the talks. Carillion is still convinced that the deal would bring significant value for shareholders of both entities. However, it remains convinced that it would be the wrong move to drop Parsons Brinckerhoff. There are only ten days left to resurrect any talks however, with UK legislation dictating that an offer must be made by August 21 or Carillion must step away from the discussion. With profit warnings and the departure of CEO Andrew McNaughton accompanying news of the proposed sale of Parsons Brinckerhoff, Carillion saw its chance. An all-share merger deal was subsequently put to the Balfour board, despite it being the far bigger concern and posting revenues of £10bn in 2013. Many industry commentators have predicted a tie-up between the two will realise total cost savings of £250m. Other analysts suggest Balfour could be past the worst of its troubles though, suggesting that a strengthening construction pipeline workflow will help the firm win domestic contracts again – something it has failed to do of late. The firm reported a total fee income of $2.54bn for the year (£1.51bn). The figures have also revealed a per partner equity profit of $1.29m (£768,000) while the overall global profit for the year hit $910m (£541.9m). That is an increase of 5.6% from the 2012/13 results of $862m (£556.4m). Twenty-six percent of the Baker & McKenzie’s revenue came from Asia with the Americas accounting for 36%. Its biggest cash generating region was EMEA, generating 38% of the law firm’s revenue for the year. Mr Leite went on to reveal that wealthier clients are increasingly confident in the stability of financial markets around the world. This is driving greater strategic moves, he continued, explaining that this is very different to pre-recession deals which saw firms acquire others just to get bigger. The firm also recently celebrated its own acquisition of South African boutique law firm Vani Chetty. It will use the move to set up its own competition practice in Johannesburg. The last year has also seen new offices open in Brisbane, Dubai and Myanmar. It has been a year of prominent instructions for the firm too. Most recently it was mandated to handle the sale of the iconic Gherkin building in the City of London. Officially known as 30 St Mary Axe, it is expected to attract a bidding war in the region of £650m from Chinese and US bidders. Short-term thinking is distorting the debate on our energy future, risking investment and opportunity, according to Confederation of British Industry (CBI) deputy director-general Katja Hall. 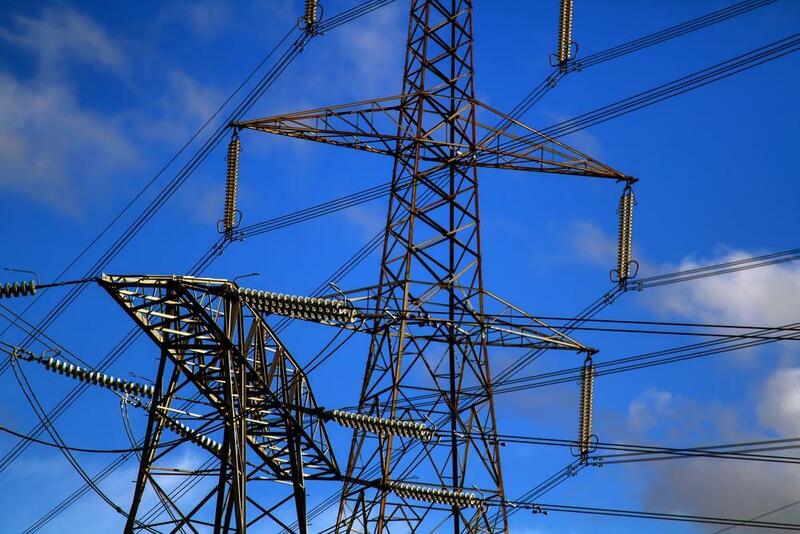 And in a new CBI poll of over 550 business leaders and 2,300 households, businesses rate security of supply as a crucial energy objective for the UK, with 73% citing it as very important. Over half of businesses (57%) also think the UK’s energy security is worse than it was five years ago, reflecting that capacity margins are likely to hit a low next winter. Businesses and households are concerned about keeping energy bills affordable (96% of businesses and 94% of households rating this as important or very important). And both groups support the UK’s aim to tackle climate change (70% of businesses and 76% of households rating this as important or very important). In a speech to the CBI Energy Conference in London today, Hall said: “The outcome we all want to see is politicians, investors, business users and consumers finding common ground – working together to tackle our energy and climate change objectives. “Long-term certainty is needed but just as policies start to click into place, the political climate heats up again. It feels like a game of snakes and ladders. “One careless comment or populist proposal – whether we’re talking about cutting support for onshore wind farms or freezing energy prices – can make businesses feel like they’re right back at square one. While 60% of business leaders and 56% of households believe that taking action now to cut carbon emissions will deliver long-term economic opportunity, one in three businesses disagree (32%), and nearly one in four consumers are unsure (23%), suggesting more must be done to communicate the importance of, and opportunity presented by, the low-carbon transition. Businesses and households also believe energy company profits are a key reason for energy price rises (53% of business leaders and 61% of consumers citing this as the main reason for energy price rises), perhaps indicating a lack of trust in the market. Profits accounted for only 4.3% of an average bill in 2012. Hall said: “We must inject long-term thinking into this debate. We need an honest conversation about future bills and how to support businesses and consumers in managing them. “People don’t necessarily get how our energy objectives relate to each other, let alone how they relate to the bills they pay each quarter, leading to a lot of misunderstanding and mistrust. Both business leaders (47%) and consumers (38%) think that more competition in the market is the best way to keep future bills down. After this, 38% of businesses and 35% of consumers cited energy efficiency as the best solution to ensuring energy costs remain affordable. “Energy efficiency has for too long been the poor relation in this debate. We need investment in supply but this must be combined with a renewed push to cut our energy usage,” Hall said. 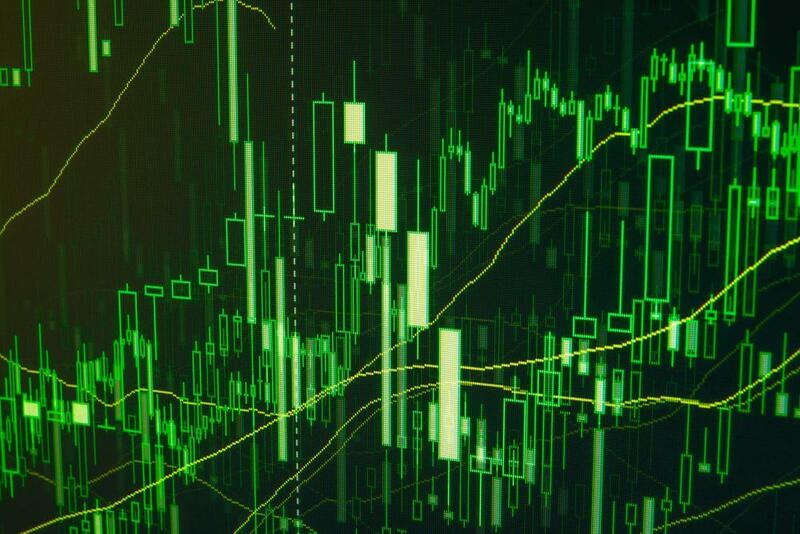 The UK’s financial services firms saw another rise in business volumes in the three months to June, and optimism continued to pick up across the sector, according to the latest CBI/PwC survey. The survey of 98 firms revealed that business volumes rose across many industry sub-sectors, with the exception of finance houses and parts of the insurance industry. However, overall profitability fell unexpectedly after six quarters of robust rises, with pricing power under pressure and costs rising in many sub-sectors. At the same time, employment was scaled back. 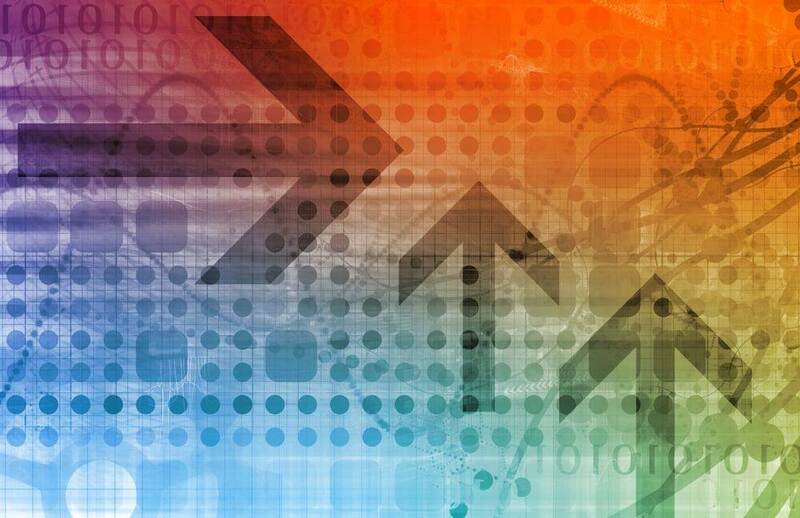 But looking ahead to the next quarter, financial services firms expect business volumes to grow at a solid pace, profitability to rebound, and numbers employed to increase slightly. Firms’ confidence in the longer-term outlook is underlined by plans to invest more in marketing and IT over the year ahead. The most important elements in firms’ growth strategies in the next three months are attracting new customers and cross-selling to existing ones. For the year ahead there are several areas of focus: among them, improvements to sales & distribution and customer relationship management. Respondents highlighted the increased regulatory burden and inadequate systems capacity to meet demand as factors likely to limit their business over the next year. Matthew Fell, CBI Director for Competitive Markets, said: “Despite a surprise fall in profitability, financial services firms are upbeat about their prospects, with business volumes rising across most sectors. “Firms are focusing on two key strategies for growth in the near-term: finding ways to retain existing customers, by offering them more products and services, and investing in marketing, sales and distribution to attract new customers. Respondents to the survey indicated that headcount fell in the quarter to June, with a slight rise expected next quarter. On the basis of ONS data, employment in the financial services sector is forecast to stand at around 1,132 by the end of Q3 2014, almost 13,000 higher than a year earlier. This would leave employment 79,000 lower than its peak in Q4 2008, but 35,000 above the trough in Q1 2010, implying that just under one third of the ground lost during crisis will have been recovered. Man Group Plc, one of the world’s largest independent alternative investment managers, has entered into a conditional agreement to acquire Numeric Holdings LLC. Numeric is a privately-owned, Boston-based quantitative equity manager with US$14.7bn of funds under management as at 31 May 2014. Founded in 1989, Numeric has an attractive and established investment track record across a range of long only and long-short, fundamentally based quantitative strategies. Based on annualised returns, over 95% of Numeric’s current strategies have historically outperformed their selected benchmark over one, three and five years. 100% of Numeric’s long only strategies covered by eVestment rank in the top quartile of their respective peer groups over one, three and five years. Numeric’s business has seen substantial growth in recent years, with funds under management increasing from US$7.6bn at the end of 2012 to US$14.7bn as at 31 May 2014. Numeric generated EBITDA of US$47m for the year ended 31 December 2013. Under the terms of the acquisition, Man will pay US$219m in cash at completion, with up to US$275m of further consideration payable to a broad group of the Numeric management team and employees following the fifth anniversary of completion under an option arrangement, dependent on the run rate profitability of the business. The regulatory capital usage associated with the Acquisition is expected to be approximately US$325m. The value of withdrawn global M&A has reached US$271bn year to date – the highest total since 2008, according to analysis from Deloitte, the business advisory firm. “Incomplete blockbuster deals have pushed the proportion of withdrawn deal values to 20% against the long-term average of 15%,” said Iain Macmillan, head of M&A at Deloitte. “However, the percentage of withdrawn deal volumes remains consistent with previous years, with just 3% of announced deals withdrawn this year. 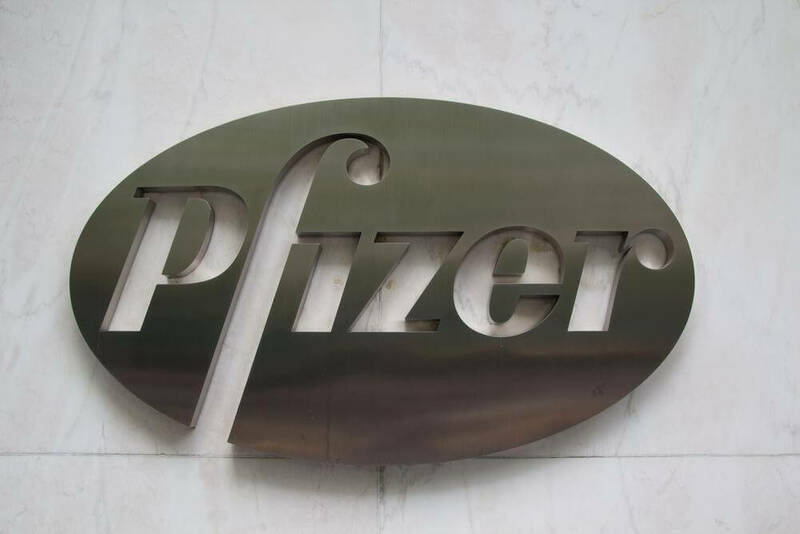 Pfizer’s unsuccessful bid for AstraZeneca accounts for 43% of the withdrawn total value, and is the only deal this year that makes the top ten of largest global withdrawn deals since 2005, said Macmillan. “The post-crisis M&A world is made up of two competing forces. One the one hand, the market confidence, bolstered by positive economic indicators, is back. At the same time getting deals completed is becoming increasingly complex. The valuations are picking up and sellers want to get the best for their shareholders. Increased scrutiny requires larger deals, particularly cross-border ones, to consider a wider group of stakeholders. Moreover, under UK takeover code, a reduction in the time for negotiations means bidders need to be better prepared. “By the end of 2014, we expect global M&A deal volumes to surpass those of last year, but not turn into the bumper year many predicted at the start of the year. Current activity is being driven out of the US, with Europe catching up fast,” added Macmillan. Apple Buys Beats: What Does it Mean? Apple, the company that transformed digital music into a worldwide phenomenon, confirmed on 29 May that it was buying Beats Electronics for US$3bn. This is a move that will help Apple reinforce its position in the new world of streaming music and stay ahead of the personal accessories explosion. New research from Futuresource Consulting provides market context which reveals the full extent of the market opportunity. The global consumer electronics (CE) market has been moving skywards since the recession of 2009, but with growth confined to mobile devices and the emerging markets. Many CE brands are struggling as more competitors enter from China and new brands compete in high growth niches like wireless audio. Since 2009, total CE sales have risen at 9% CAGR, reaching US$676bn worldwide in 2013. However, the European market has slumped from 26% of global CE consumption in 2009 to just 21% in 2013. Meanwhile, emerging markets have grown to account for an estimated 50% of worldwide CE market value in 2013, China’s domestic market alone accounting for around 15%. 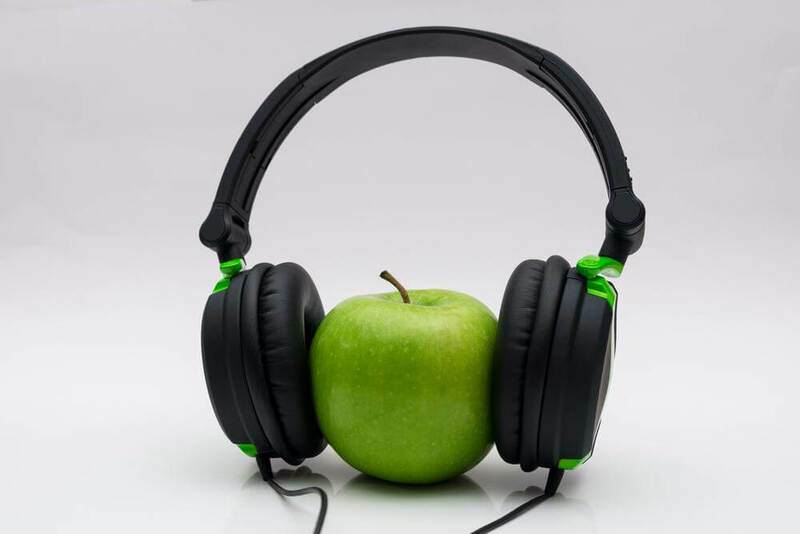 Audio has been relatively buoyant, spurred by the boom in mobile music and streaming services, which have driven demand for accessories like wireless speakers and headphones. Sonos, which has pioneered wireless music systems, doubled sales to US$535mn in 2013. Beats Electronics, launched just five years ago, has become the market leader in high end headphones and enjoyed estimated sales of over US$1.5bn in 2013. Pure, which drove DAB hardware in the UK, is now pushing into networked audio players. Ironically, Apple, which started the MP3 revolution, has seen iPod sales decline sharply as smartphones have taken on the role of music player with many consumers. From a music streaming angle, consumer spend on global music subscription services such as Spotify and Deezer was estimated to be just under US$2bn in 2013. There is still significant potential for the market to grow, with music subscriptions accounting for just 10% of the total music market spend last year, equivalent to around 25% of the digital music market. This is expected to exceed US$5bn in 2017, equivalent to 30% of global music market spend. In comparison, spend on online video subscription services such as Netflix last year was almost US$5bn. In Sweden, music streaming accounted for around 70% of total market spend in 2013, up from around 20% in 2010. Many consumers are moving away from ownership towards an access model, for both music and video. Total “pay per download,” for example track and album downloads from services such as iTunes, declined in the USA last year, significantly down in Sweden and stabilising in the UK. Some consumers are changing their behaviour and this is impacting ownership, although most music buyers are still in the transition somewhere between buying CDs, buying digital tracks and albums – with the final step paying for a streaming subscription service such as Spotify. Paid-for streaming subscriptions are increasingly driven by in-home wireless audio products, such as wireless speakers (e.g. Sonos) and integrated Hi-Fi with airplay, Bluetooth and the like. Global shipments of wireless home audio products grew by over 100% in 2013 to reach 27 million units. Futuresource’s latest Living With Digital consumer research indicates that owners of such devices are 2.5 times more likely to pay for a digital music subscription compared to the overall population. 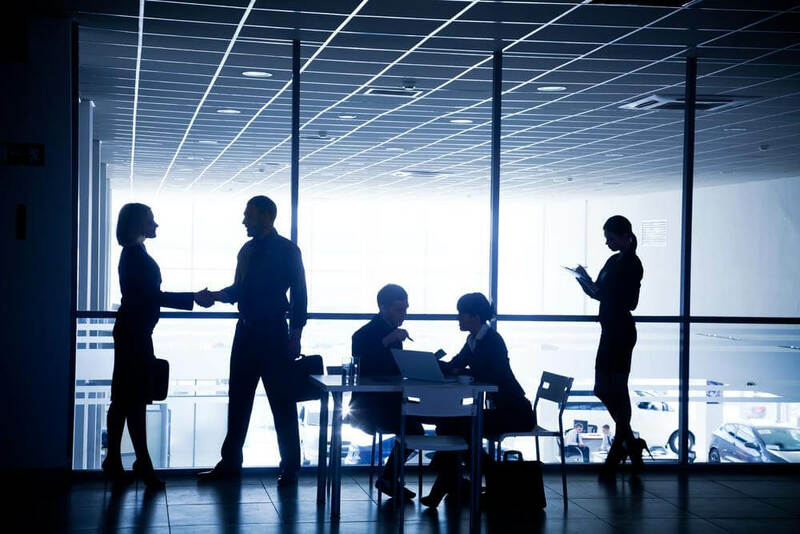 Lack of cultural integration process and planning as well as top talent flight are key people-related M&A concerns for senior business leaders the world over, according to a recent survey by financial services company Mercer. In fact, throughout Asia, Latin America, North America and Europe, approximately one third to one half of respondents said that they have no process for assessing culture and leveraging results. These same deal leaders are also very worried about top talent leaving their organisations soon after M&A deals close, with 75 to 80% saying that they are “very” or “moderately” concerned. On a positive note, business leaders acknowledged that people-related issues are gaining more prominence in M&A situations than in the past. This is particularly true in Asia, where a full 84% agreed that people issues are more prominent, followed by Latin America (62%), North America (60%) and Europe (47%). Thomson Reuters, the world’s leading source of intelligent information for businesses and professionals, has announced the election of three new members to the company’s board of directors at the company’s annual meeting of shareholders, held in Toronto. Sheila C. Bair, 60, is a Senior Advisor to the Pew Charitable Trusts, and currently serves as a member of the boards of Host Hotels & Resorts and Banco Santander. Bair previously served as the Chair of the Federal Deposit Insurance Corporation and has held senior positions at the New York Stock Exchange, Commodity Futures Trading Commission and the US Department of the Treasury. Michael E. Daniels, 59, is currently a member of the boards of SS&C Technologies Holdings and Tyco International, as well as a trustee of Holy Cross College. Daniels previously spent 36 years with IBM where he held senior roles in sales and technology. P. Thomas Jenkins, 54, is Chairman of OpenText Corporation and has served as a member of its board since 1994. Jenkins served as President and Chief Executive Officer of OpenText from 1994 to 2005. Jenkins previously served in several managerial and technical capacities at various technology companies. The company also today announced that David W. Binet has been appointed Deputy Chairman of the Board of Directors. Binet is President and Chief Executive Officer of the Woodbridge Company Limited, and has served as a director of Thomson Reuters since January 2013. The market for initial public offerings (IPOs) has been exuberant as uncertainties over the US “fiscal cliff” and eurozone debt crisis have diminished and corporate confidence returns, according to a strategist at private bank Coutts. James Butterfill, Global Equity Strategist at Coutts, says that Though UK IPOs are showing some signs of frothy prices, the deals keep coming, and IPOs in the UK so far this year (58 deals worth US$13bn in total) have almost matched the total value of last year’s new listings. “The key difference to last year is that IPOs are being priced at the lower end of their ranges due to concerns over market valuations. Many issuers have been retailers, such as Poundland and Pets at Home, with deal sizes typically at the smaller end – up to US$100m,” he says. “However, whereas last year’s UK IPOs appreciated on average by 16% by year end, this year has been more challenging, with shares down by 5% on average since listing. This contrasts with the US, where average IPO gains have been 10%, and also lags the 4% gain achieved across the rest of the world. 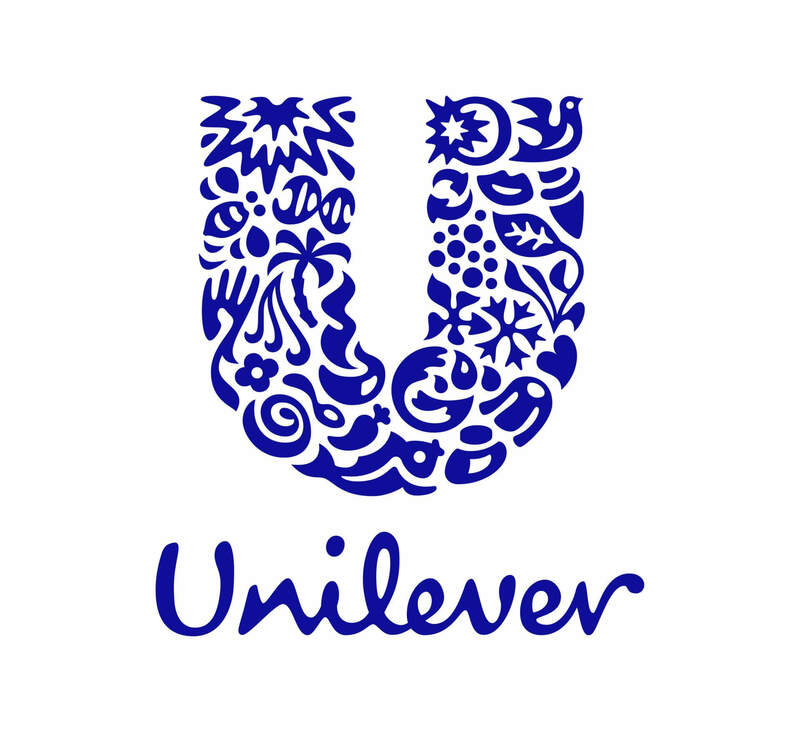 Unilever has announced that it has purchased, for a consideration of £715m, the rights left in family trusts by William Hesketh Lever which are convertible in 2038 into 70,875,000 Unilever PLC ordinary shares. The consideration is equivalent to £10.09 per ordinary share and represents a discount of 63% to the closing share price on Friday May 16th 2014. As a result of this transaction core earnings per share will be enhanced by 2% on a full year basis as the fully diluted share count used in the calculation is reduced by 70,875,000 shares, or 2.4% of the combined Unilever Group total. AstraZeneca, the UK drugs company, has rejected a “final” takeover offer from US drugs firm Pfizer. Pfizer had offered £53.50 on Friday but AstraZeneca told Pfizer at the weekend that the price needed to be at least 10% higher, valuing AstraZeneca at about £74 billion. Pfizer made a new offer of £55 per share, valuing AstraZeneca at about £69 billion, an offer that AstraZeneca’s chairman Leif Johansson said did not meet the price that the US company was told was necessary. AstraZeneca’s shares fell 14% to £41.45 after news broke of the rejection. Pfizer’s moves to take over AstraZeneca have been surrounded by controversy, with politicians and unions expressing fears that a takeover would hinder AstraZeneca’s drug research and lead to job losses among the firm’s 6,700-strong UK workforce. Pfizer planned to create the world’s largest drug company, with its headquarters in New York, but based in the UK for tax purposes – a strategy known as “tax inversion” whereby Pfizer could pay the UK corporate tax rate of 20%, rather than the 35% rate applied in the US. Pfizer had said that its improved offer of £55 per share was “final” and could not be increased. Fujitsu has announced it has appointed Michael Keegan as Head of its £1.8 billion business in the UK and Ireland. Keegan’s new role sees him take the reins from Duncan Tait, who was recently promoted to Head of EMEIA, Corporate Senior Vice President, Fujitsu Ltd.
Keegan has worked at Fujitsu for a number of years and has spent the last three and a half years leading Fujitsu’s successful Technology Products Group for the UK & Ireland. His appointment comes on the back of solid growth for Fujitsu UK & Ireland under Tait’s tenure. Having built a strong foundation and focus for the company, Tait led the company to 12 consecutive quarters of growth during his three year time in the role. Under Keegan’s leadership, the business will focus on growth in the Private Sector and Defence, as well as its strategic work in Government and driving success in its product business units. Keegan’s experience in the IT sector includes holding senior leadership roles at the Royal Mail Group/Post Office Ltd, Magex, MasterCard and Nat West. Since joining Fujitsu in 2006, he has worked across a number of business units, including Government. Keegan will report directly to Duncan Tait in his new role. Keegan’s promotion to the head of the UK & Ireland forms part of a larger restructure for Fujitsu, promoting increased collaboration amongst business units as the company seeks to take advantage of growing globalisation in the ICT market. This has resulted in the creation of larger regions, all of whom report directly in to the Japanese headquarters. The UK & Ireland will become part of the EMEIA region enabling Fujitsu to serve its regional and global customers more efficiently and effectively. Boeing and Ryanair have finalized an order for five additional Next-Generation 737s, valued at $452 million at list prices. Today’s announcement brings the total number of unfilled Next-Generation 737 orders for the Ireland-based ultra-low-cost carrier to 180 airplanes. The airline announced last year an order for 175 of the airplanes. 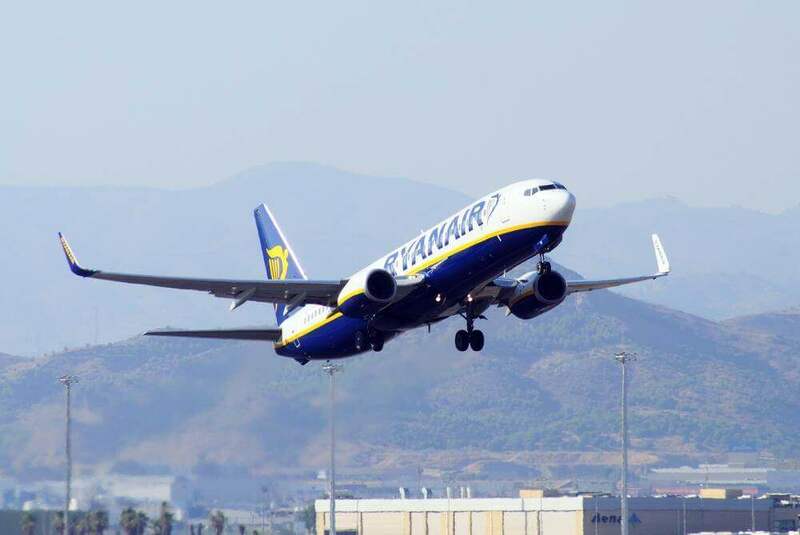 Ryanair is the world’s largest 737-800 customer, with orders placed for 528 of the type to date. The Boeing 737-800 is the best-selling version of the highly successful Next-Generation 737 family. Known for its reliability, fuel efficiency and economical performance, the 737-800 is selected by leading and low-cost carriers throughout the world because it provides operators the flexibility to serve a wide range of markets. Headquartered in Dublin, Ryanair operates more than 1,600 flights daily from 68 bases connecting 186 destinations in 30 countries. Currently operating more than 300 737-800s, Ryanair took delivery of its first in 1999, and now operates the largest fleet of Boeing airplanes in Europe. Today’s announcement brings the total number of 737s ordered to date to more than 11,000. Boeing currently has more than 3,700 unfilled orders for 737s. The increase in UK car production is driving substantial growth in automotive supply chain mergers and acquisitions, according to a leading industry expert. 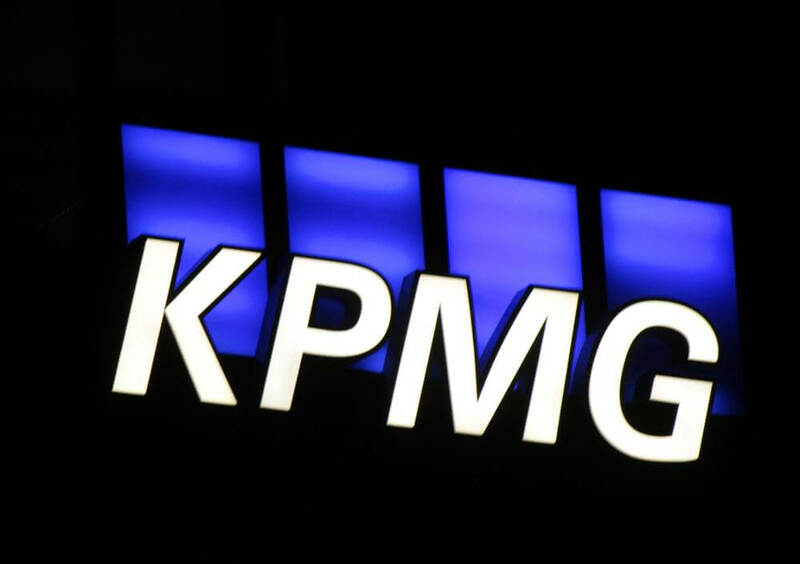 KPMG’s UK Head of Automotive, John Leech, said KPMG has acted as corporate finance advisor to vendors of automotive suppliers on five separate successful deals in the last seven months and he expects activity to increase. “The reason for this is fast-growing UK car production, notably by Jaguar Land Rover which is requiring suppliers to attract investment to expand capacity and set up overseas facilities,” he said. KPMG’s automotive M&A specialist, Simon Heath, said “Buyers include automotive suppliers from US, China and Europe but also private equity excited by forecast growth in UK car production to two million vehicles in 2017 which might see the UK beat its all-time production record. Overseas trade buyers are frequently under pressure to follow and co-locate with their manufacturers, and so many pure Asian or North American suppliers are considering European acquisitions to grow their global footprint, said Heath. At the turn of the year, Ford announced plans to cut its number of suppliers by 40%, and so the pressure to internationalise is intense, he added. 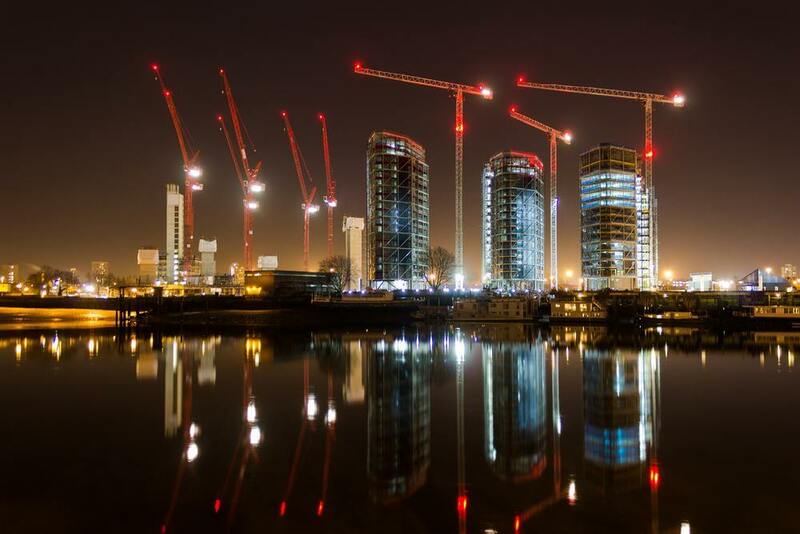 “The UK has risen up the list of favourable locations within Europe to invest in. We have a clear growth story, premium carmakers enjoying attractive margins and the most joined-up industry and government in Europe with a focus on supporting innovation such as low-carbon vehicles,” he said. 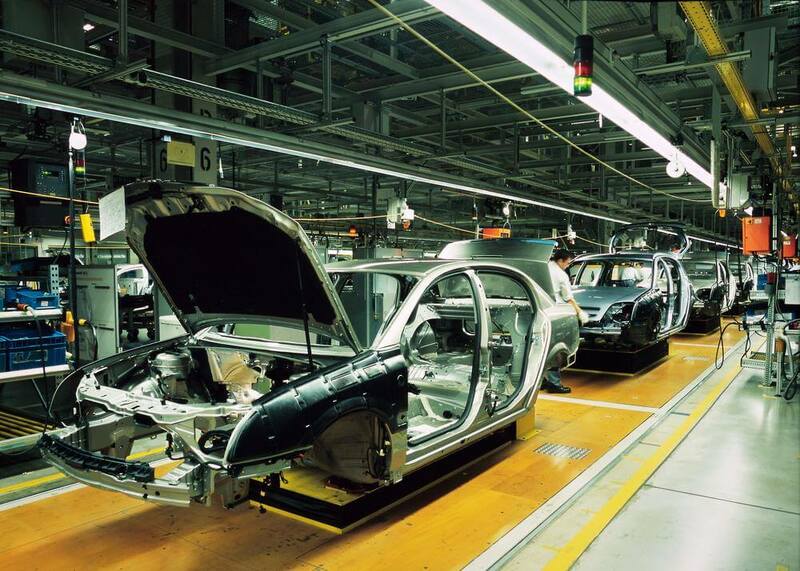 Latest figures from the Society of Motor Manufacturers and Traders (SMMT) revealed that car production had grown by 12% in March, driven by demand from the EU. GE Capital International and Ares Management Ltd. announced today that the European Senior Secured Loan Programme (ESSLP), a €1.7bn joint venture between the firms, has completed its seventh transaction with the closing of a £153m unitranche facility to refinance Parkdean, a holiday park operator in the UK owned by Alchemy. Ares provided an additional £27m of subordinated debt to complete the £180m refinancing package. This transaction brings the total commitments to more than €800m in unitranche financing provided through the ESSLP since the programme was launched in 2013. The ESSLP has provided financing to support private equity-backed businesses across Europe and spanning a wide range of sectors, including the recent refinancing of NoteMachine owned by Corsair and Montagu’s acquisition of Dutch Ophthalmologic Research Centre (D.O.R.C). This latest deal follows the recent announcement that GE Capital International and Ares Management Ltd. were named the joint “Unitranche Lenders of the Year” for 2013 by Private Debt Investor. Parkdean were awarded Best UK Holiday Park Operator at the 2013 British Travel Awards . 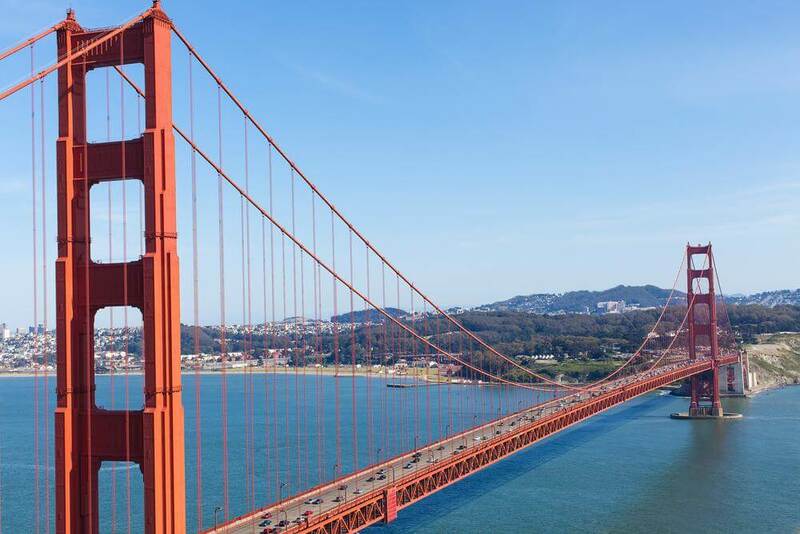 The investment, completed on April 17, 2014, was led by bankers from Technology, Media & Telecom Group as well as from Harris Williams & Co.’s London and San Fransisco offices. “Upstream has delivered tremendous growth over recent years, which is testament to the strength of the management team and of the demand fulfillment marketing platform it has developed since its inception in 2001,” said Thierry Monjauze, head of Harris Williams & Co.’s London office and a managing director in the firm’s TMT Group. “Following the investment, Upstream will leverage Actis’ relationships and expertise to expand its customer base and solution suite and drive continued expansion,” added Mike Wilkins, a managing director in Harris Williams & Co.’s TMT Group. Upstream is the industry leader in emerging markets mobile monetisation. Upstream works with mobile operators, ecommerce brands and app developers in 40 markets helping them to sell their products to mobile consumers through sophisticated demand fulfillment marketing campaigns, while increasing customer loyalty and providing deep customer insights. 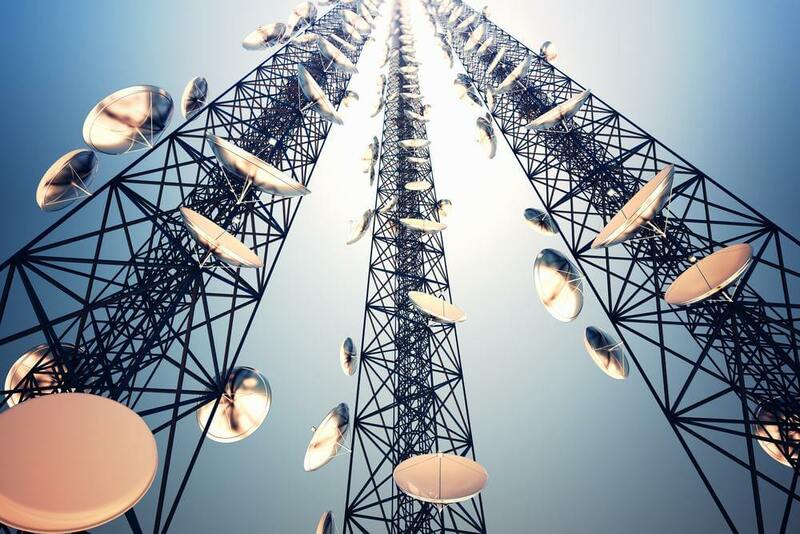 Its clients include the Vodafone Group, Telecom Italia Mobile (TIM), MTN, T-Mobile and Etisalat. 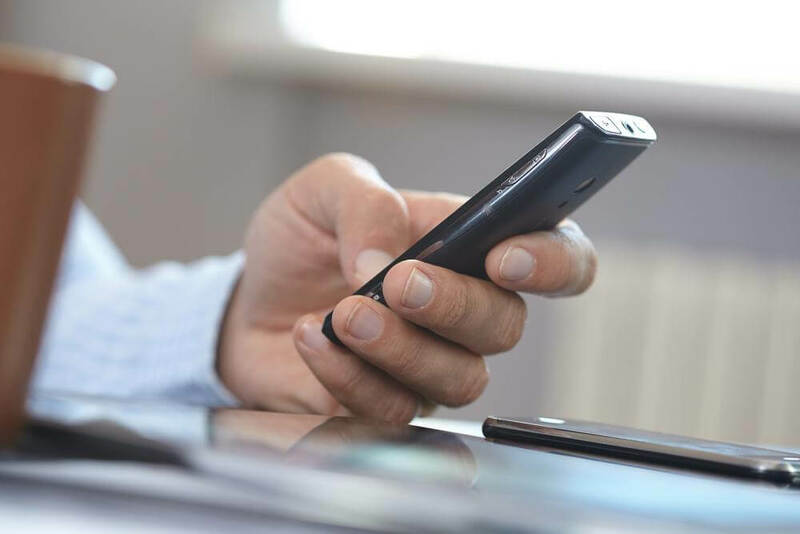 Upstream has direct marketing and billing access to more than 1 billion emerging market consumers through their mobile handsets, offering them personalised propositions. The company has already generated an estimated $1 billion of incremental revenue for its clients and grew its revenues by 61% in 2013 with new services and markets being added on a monthly basis. “Actis has a first-class reputation as an emerging market investor. Its track record of partnering with founder and entrepreneur management teams is exceptional,” commented Marco Veremis, CEO and founder of Upstream. “Upstream will benefit from Actis’s deep expertise in emerging markets and its highly complementary regional presence. Upstream’s founders and management team are glad to see Actis subscribing to our vision and look forward to a close collaboration in executing our high growth strategic expansion plan for the coming years.” Veremis has led the business since its foundation and will continue to lead the company after Actis’ investment. Actis invests exclusively in the emerging markets with a growing portfolio of investments in Asia, Africa and Latin America; it currently has $7 billion funds under management. Combining the expertise of more than 120 investment professionals on the ground in nine countries, Actis identifies investment opportunities in three areas: private equity, energy and real estate. Actis is proud to actively and positively grow the value of those companies in which it invests and in so doing, contribute to broader society. Harris Williams & Co., a member of The PNC Financial Services Group, Inc. (NYSE:PNC), is a preeminent middle market investment bank focused on the advisory needs of clients worldwide. The firm has deep industry knowledge, global transaction expertise and an unwavering commitment to excellence. 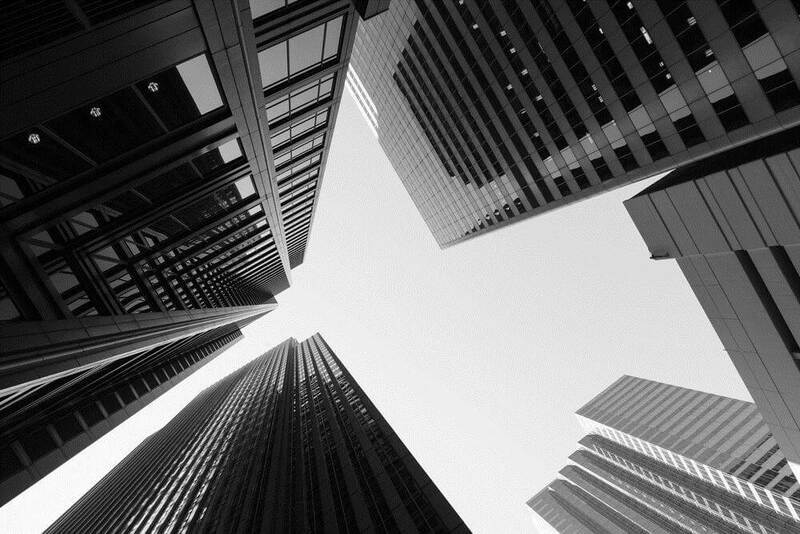 Harris Williams & Co. provides sell-side and acquisition advisory, restructuring advisory, board advisory, private placements and capital markets advisory services. Harris Williams & Co.’s TMT Group has experience across a broad range of sectors, including software, internet and digital media and infrastructure solutions. Within these segments, the TMT Group focuses on targeted subsectors including application software, data and informatics, eCommerce, education technology, energy technology, financial technology, healthcare IT, infrastructure software, IT and tech-enabled services, mobile, online advertising and marketing services, public sector software and telecom, data center and networking solutions. For more information on the firm’s TMT Group and other recent transactions, visit the TMT Group website. Investment banking services are provided by Harris Williams LLC, a registered broker-dealer and member of FINRA and SIPC, and Harris Williams & Co. Ltd, which is authorised and regulated by the Financial Conduct Authority. Harris Williams & Co. is a trade name under which Harris Williams LLC and Harris Williams & Co. Ltd conduct business. Temenos, the market-leading provider of mission-critical solutions to the financial services industry, has appointed Martin Frick as Head of APAC, based out of the group’s Singapore office. Martin brings over 20 years of relevant experience in banking and banking technology. In this career, Martin has been a Senior Executive of Raiffeisen Bank in Switzerland as well as Executive Director and Head of Custody Processing Service at UBS. More recently, Martin has been working in banking technology and was previously Managing Director of Asia Pacific for Avaloq. He is a qualified economic computer scientist, and has an MBA. Temenos already has a very strong reputation and track record in the APAC market. In 2013, the APAC business grew licensing by 19% and now boasts revenues of over USD100m, serving more than 150 customers, including Bank of Shanghai and Bank Sinopac. 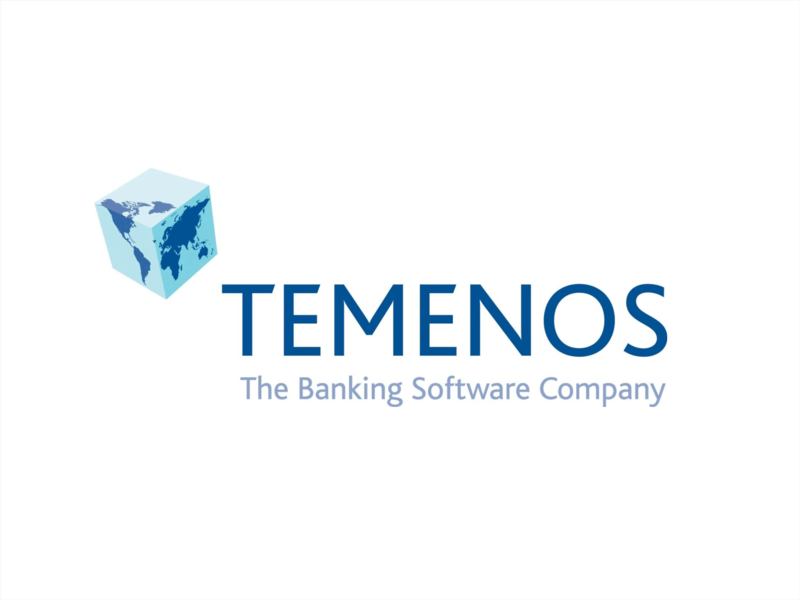 Martin’s appointment will strengthen Temenos’ APAC team, positioning it to take advantage of the very strong growth being seen in the market as a whole, with industry analyst Gartner forecasting the APAC banking-software market to grow at a CAGR of over 9%, reaching USD 2.7 billion in 2017. In conjunction with Martin’s appointment, you can read his perspective on the private wealth market and APAC here. Emerisque Brands, a specialist, growth-oriented private equity sponsor based in Mayfair, has announced that Steve Back has joined the firm as an Operating Partner. Back’s initial focus is assisting the executive management of the firm’s Italy-based fashion portfolio, consisting of MCS Group (MCS menswear) and Industries Sportswear Company S.p.A. (Henry Cotton’s, Marina Yachting, Coast Weber Ahaus and the licensed brand 18CRR81 Cerruti). Most recently, Back was recruited to restructure and take private Monsoon plc, a UK- based fashion retailer and was ultimately named its Chief Executive Officer. Under his tenure there as Chief Commercial Officer, Back negotiated and repaid the company’s debt; restoring the c. £1 bn Monsoon to £100m EBITDA profitability. He was previously Chief Executive Officer of the supermarket group, Sommerfield PLC, in the mid 2000’s and oversaw an accelerated growth plan there which led to £1.5bn growth in the first year and a subsequent take-private transaction in a deal valued at £1.1 bn. Mr. Back has held a number of other executive and financial positions during his career in the retail industry, including with Laura Ashley Ltd., Chef & Brewer Group Ltd., Ryman Group, Grand Metropolitan Retailing and Budgens Stores Ltd.
Adyoulike, the French native technology platform and network, has announced that it has acquired Content Amp, the UK’s leading native distribution and content service. The combined company had a turnover in 2013 of $5million. The expected turnover for what will be Europe’s first pure-play native advertising company will be around $10million in 2014. Adyoulike has pioneered native advertising in France since its backing by French venture capitalist Banexi Ventures Partners in October 2012. The company is now seizing on the buzz around native with the first of a planned string of European acquisitions, starting with Content Amp in the UK market. Content Amp will rebrand as Adyoulike UK. The acquisition will see the founders of Content Amp, Francis Turner and Dale Lovell, join the Adyoulike management board and run the UK division of Adyoulike. 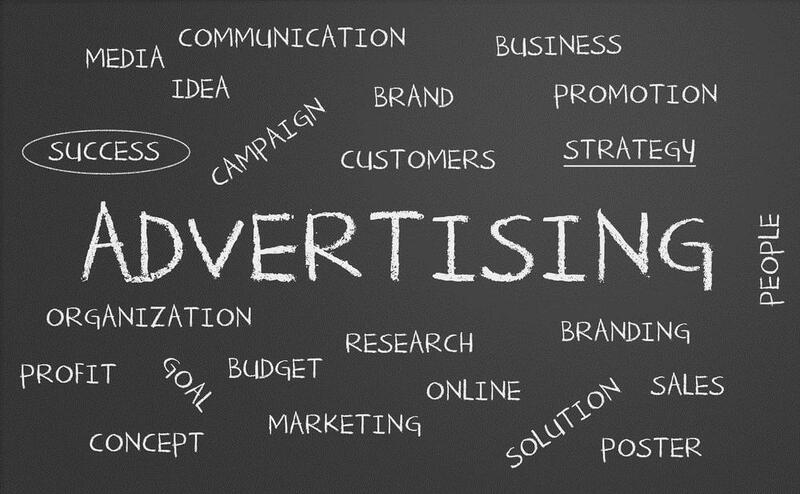 This will entail expanding native advertising formats into the UK market. Julien Verdier, CEO of Adyoulike, comments: “This acquisition creates an immediate market leader in the European native advertising space. In Content Amp we have identified an experienced team that is as excited about native advertising as we are. Their expertise in all things content, plus extensive brand, publisher and agency contacts in the UK and combined with our market leading native advertising technology, is the perfect fit for Adyoulike to lead the expanding UK and European native advertising market. Francis Turner, Content Amp co-founder and newly appointed managing director of Adyoulike UK, adds: “The native advertising market continues to be 2014’s hottest topic for brands, publishers and agencies. We have been running native campaigns over the last 12 months and have seen great advertiser appetite and outstanding results and performance, particularly when compared to stagnating and commoditized traditional display. There are a number of great opportunities to grow the Adyoulike native advertising solution in the UK.